Dalan, Katz & Siegel, P.L. The hiring of a lawyer is an important decision that should not be based solely on advertisement. Before you decide, ask Dalan, Katz & Siegel, P.L. to send you free written information about their qualifications and experience. Additionally, the comments, statements and articles contained herein are general in nature and should not be relied upon as a basis for any legal opinion, action or conclusion on the part of the reader with respect to any particular set of facts or circumstances. About Us Dalan, Katz & Siegel, P.L., is a Clearwater, Florida, law firm that represents clients in the Greater Tampa Bay region. The firm represents insurance carriers, their insureds as well as individuals and businesses in State and Federal courts throughout the West Coast of Florida. The firm represents insurance companies and individuals in a diverse area of civil and criminal law as well as representing individuals and business in commercial and construction related litigation. The partners have extensive trial experience, as well as significant experience in dispute resolutions through mediation and arbitration. The firm specializes in civil litigation. Martindale-Hubbell Rating The firm has received the highest possible rating, "AV", for legal ability and general recommendation by Martindale-Hubbell Law Directory, a national publication serving as the definitive information source for and about the legal community. The "A" rating designates the highest degree of legal ability and the "V" rating designates the highest degree of ethical standards. All Partners at Dalan, Katz & Siegel, P.L. are AV rated. 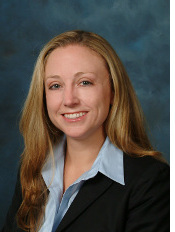 Best Insurance Professionals Center The firm has been recommended by Best's Directory of Insurance Attorneys. Areas of Speciality At Dalan, Katz & Siegel, P.L. there is no question or problem that is too big or small for us to handle. We specialize in many areas of the law including but not limited to the following: -Insurance Defense -Personal Injury -Products Liability -Wrongful Death Actions -Insurance Coverage Disputes -Automobile Liability - including Uninsured/Underinsured Motorist Litigation -Employment Discrimination -Personal Injury Protection -Toxic Torts - including but not limited to: -Asbestos Litigation -Lead Paint Claims -Multiple Chemical Sensitivity Claims -Consumer Litigation -Construction Litigation -Age & Disability Discrimination -Business Disputes -Probate and Guardianship Litigation -Property Damage Litigation -Premises Liability Litigation -Subrogation Actions Handling of Cases Dalan, Katz & Siegel, P.L. provides quality services to all of its clients in a cost efficient manner. The firm utilizes all tools available to insure that their clients obtain the best possible service while never losing sight of the importance of the attorney-client relationship. Included on our website are numerous links which we believe are very beneficial and we ask that you feel free to visit any of those websites. Dalan & Katz, P.L. knows the importance of communication with its clients and makes every effort to respond to all inquires quickly and accurately. We encourage our clients to be active in the litigation and to contact us with any questions they may have. Providing the best representation for our clients is our number one concern. Regions In Which We Practice Dalan, Katz & Siegel, P.L. provides services throughout the state of Florida, the majority of the cases that are handled are in Pinellas, Hillsborough, Pasco, Hernando, Citrus, Manatee, Sarasota, Polk, Charlotte, Lee, and Collier counties. The firm will handle cases in other counties and would be more than happy to discuss any other location within the State of Florida. Mediation and Arbitration Dalan, Katz & Siegel, P.L., provides mediation and arbitration services to other attorneys and litigants. We make every effort to make ourselves available to accommodate your calendar so that we can provide prompt and effective mediation and arbitration services. Mr. Dalan is a member of the Florida and Illinois Bars, as well as licensed to practice before the United States District Court for the Middle District of Florida, the United States Courts of Appeals for the Eleventh Circuit, and the United States Supreme Court. Mr. Dalan is a Certified State Circuit Court and Federal District Court mediator and also serves as an arbitrator in a variety of types of civil litigation. 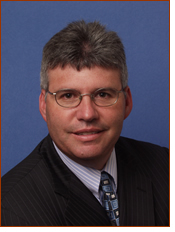 He is board certified as a civil trial lawyer by The Florida Bar and AV rated by Martindale-Hubbell. Mr. Dalan is a member of the American Bar Association, Clearwater Bar Association, and St. Petersburg Bar Associations. He represents clients in toxic tort, lead paint, asbestos, personal injury, wrongful death, property damage and insurance coverage litigation, as well as construction litigation. Mr. Dalan also represents clients in automobile liability, uninsured motorist claims, premise liability suits, discrimination claims and products liability claims. Additionally, he provides defense of white collar criminal cases. Mr. Katz was born June 19, 1966, in West Islip, New York. He received his Bachelor of Science Degree in Business Administration at the University of Florida in 1988, and his Juris Doctorate Degree from Stetson College of Law in 1991. 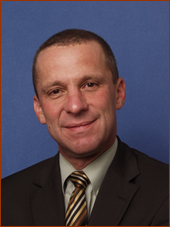 Mr. Katz has an advanced law degree, a Master of Laws in Taxation from Emory College of Law in 1992. Ms. Maple is a member of the Florida Bar, United States District Court for the Middle District of Florida, The United States District Court for the Southern District of Florida, the United States Court of Appeals for the Eleventh Circuit, and the American Bar Association Section of Litigation.